As a father of teenagers, it seems all the best moments of parenting are behind me. The first steps, first words, first days of school happened so long ago. They’re just memories. Recently, I had the chance to experience a new parental first: my daughter got her first car! Her joy and enthusiasm could not be held in as she danced around her new passport to freedom. I was jealous. I couldn’t remember when I had been that excited about anything. Then I started my new role, with BNI. I was excited about all the possibilities and opportunities. Things I’d heard like “Givers Gain” and “VCP” took things I’ve always sort of known, but turned it into a proven system where everybody wins. How cool! Who wouldn’t want to be a part of that? Sign me up! The first few weeks, as Area Director for Omaha, have been a whirlwind. I’ve visited all the chapters, having fun meeting incredible people each time. I attended the Member Success Program, and took it again in BNI University to make sure I didn’t miss anything. At the Regional Awards in Lincoln and Omaha, I saw the great things that happened last year and glimpsed a little bit the future of BNI. All of this is amazing to me. I suppose that to some of you, I sound a little like my daughter seeing that car of hers for the first time. I bet almost all of you felt that way when you first started with BNI, whether it was last month, last year, or ten years ago or more. Think of how you felt when you went to that first meeting, or gave that first great referral, or thanked someone for closed business for the first time. That’s where I’m standing right now. It’s all pretty great. My daughter found out after a few weeks of car ownership what most of us already know. 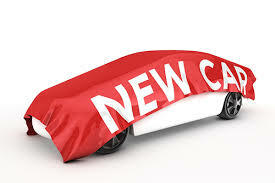 A used car offers freedom, but it comes with duties, responsibilities, and costs. After a while she started to see her car almost as a burden with its minor repairs and maintenance. The first time she missed out on something because of car problems, she was angry. I understood that. I’d been there. Maybe that’s where some members are standing with BNI. Are you thinking the weekly meetings, one-to-ones, and chapter education units are taking too much time away from your business? Well, when my daughter’s car broke down we didn’t throw it away. We took it to a mechanic. After a few days of having to fill in as the parental taxi, my daughter couldn’t wait to get her car back. It didn’t feel like a burden anymore – it was freedom again. I saw the light return to my daughter’s face when she got back behind the wheel. If you’re thinking BNI is a burden, don’t throw it away. A fellow member or member of your leadership team may have the tools it takes to get you back on track with BNI and the excitement you once felt. Those of you in the fast lane with no problems, I commend you. Please take a look around and reach out to those who might be slowing down, or the newer members trying getting up to speed, like me. I’d like to see that extra spark of joy in everyone’s eyes that they had when they joined. Revisiting the Member Success Program in BNI University is a good way to get back to the basics that got us excited about BNI in the beginning. I’m looking forward to a long successful ride with everyone. Let’s get cruising together.